Controversy is the name of the game this month with DC Comics's February 2014 trade paperback and collections solicitations. Everybody's got an opinion about how DC should be collecting their crossovers these days, and the February solicitations will give you a lot more to chew over -- Justice League, Green Lantern, Pandora, and Phantom Stranger all collect parts, but not the whole, of certain storylines. This will undoubtedly fan the flames of concern about DC's Trinity War collection plans. The new solicitation for Justice League Vol. 4 now includes issues #18-20 (the "Grid" storyline), skips #21, and then collects parts 1 and 6 of Trinity War. Those who don't follow Justice League of America and Justice League Dark are upset, I know, that some double-buying seems to need to be involved; I'm disconcerted by the new absence of issue #21, which ties-in to the Shazam! story that I enjoyed. Will we ever see this issue collected somewhere? Why publish this book with five issues, when six is not uncommon? I love the "Not Final Cover" cover of this one, with all the white space; it reminds me of some of the Animal Man covers during Grant Morrison's run. Don't read the solicits for this one, which spoil the end of "Rotworld." Collects Batman/Superman #1-4 and also the Justice League #23.1 issue featuring Darkseid. The Villains Month issue is written by Batman/Superman's Greg Pak and I'm glad to see it collected, but I wonder if it actually relates to this story or if this was just a convenient place to put it. Collects the last of J. H. Williams and Haden Blackman's issues on Batwoman. As some commenters have pointed out, this appears to be the first instance of a New 52 collection series switching from hardcover to paperback for its first-run collections. It seems curious to me that DC did this with Williams and Blackman's final trade; if, one assumes, the concern is that the book won't sell well enough for hardcover, I'd imagine that sales drop would come with Marc Andreyko's first trade (no reflection on Andreyko), not Williams and Hayden's last. It's equally possible that low sales have caused the switch, authors notwithstanding, though I thought Batwoman was doing well. It's a little surprising that DC has this hardcover packed as full as it is -- eight issues plus an annual. James Robinson's last issue is #16, and unless there's a significant cliffhanger between Robinson's #16 and Tom Taylor's #17, I'd think DC would want to start fresh with Taylor in the next trade. I'm not complaining, mind you -- packed hardcover collections are OK with me. At some point I thought the previous collection, Harrow, was meant to include a little bit of Jeff Lemire's new run on the series, but that's not the case; this fourth collection starts off Lemire's run. Rather surprised to see this didn't switch the other way, over to hardcover. Very early word that I received on this collection said it would contain all the "Lights Out" crossover parts from all the other titles (and that the other collections would as well, the kind of construction I think some would like to see for the Trinity War collections). This new solicitation, however, says this just contains Green Lantern #21-26, the Annual #2, and the Villains Month issue #23.1: Relic. This means this collection only contains one part of "Lights Out" and you'll have to buy other collections to get the full story, which I imagine won't sit well with some. The first Pandora collection includes issues #1-6, of which #1-3 are Trinity War tie-ins and #6 is a Forever Evil: Blight tie-in; sounds to me like this will be a tough collection to read solely on its own. Even more crazy-making is that the Phantom Stranger collection includes issue #6-11, of which #11 is a Trinity-War tie in; Blight doesn't start for Phantom Stranger until the next trade, in issue #14, so you get one part of Blight in Pandora in February but not the Phantom Stranger parts of Blight until probably much later this year. This is the Batman: Murderer collection that I wish DC would have published the first time around, and I'm glad to finally see it. The book contains Batgirl #24, 27, Batman #599-602, Batman: Gotham Knights #25-28, Batman: The 10-Cent Adventure #1, Birds of Prey #39, 40-41, 43, Detective Comics #766-767, Nightwing #65-66, 68-69, and Robin #98-99; if some eagle-eyed commenter wants to check how this matches with the original collection and let us know, feel free. At long last, this third volume completes the collections of Ed Brubaker's Catwoman run. Includes issues #25-37, including the War Games tie-in issues, #34-36. I actually didn't think DC was publishing those DC Comics Presents sub-trades any more, but this one includes Harley Quinn's No Man's Land-era origin story, among other things. The trade collects the last of Karl Kesel's issues on his series; sales of this one will probably decide whether DC follows this with a collection of the A. J. Lieberman (Gotham Knights) stories that followed. Collects issues #1-5, though I'm not sure if that's from the print version of the digital series or straight from digital. At some point I'd heard this series was supposed to have interactive features but I've never seen anything else about it; I'm curious how that will translate to print, if at all. Near as I can figure there should be just one more Smallville Season 11 trade after this collecting the "regular" digital series, before this switches over to miniseries. This collects print issues #13-15 and the Special #2; the next should have #16-19. What will you be picking up in February? Crossover collecting driving you crazy yet? Isn't JL #21 in the Shazam hardcover? I'm pretty sure it is. Yep, JL #21 was the finale of the Shazam! storyline, that is already collected in the Shazam! hardcover. Isn't there a Shazam! aftermath issue that deals with the final dispensation of Black Adam? Is that JL #22, then? Yes, that happens in the first issue of Trinity War. 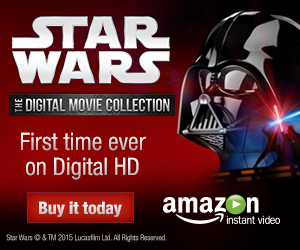 Amazon says it is, but I doubt it. Issue #21 was the full-length final chapter of the Shazam strip, and it doesn't work as a stand-alone tale, so I don't see any reason to include it in this volume other than padding it out. By the way, CE, this issue was included in the Shazam HC, so you're not going to miss anything. About the other New 52 collections, there are some curious changes from the originally announced contents. I guess anyone who isn't reading all Green Lantern books in collected form will have to buy the Lights Out HC now. And while Robinson's Earth 2 run ended on something of a cliffhanger, his last issue would still make for a nicely grim conclusion to the third volume. I'd shift Taylor's first 3 issues to vol. 4, and the Desaad one-shot by Levitz should be in the next Worlds' Finest collection instead. I got a question. are they going to continue with Shazam!? Hopefully Katanna and Vibe getting cancelled brings back Booster Gold and Shazam ongoing series! Can't understand why they aren't already there given both are Johns favourites. We'll get a new Bruce Wayne: Murderer? and Bruce Wayne: Fugitive next year. Finally! As for the crossover collections for the current GL / JL, I just decided to stop collecting all DCnU trades for now. I don't even read half of the books that are part of these events. I feel stupid to have to buy all these book just to get the missing two issues and have like 4 issues of stories I don't care about, or don't know what they are about. And what makes this even worse is that every other book seems to be a crossover story! Complete overkill. Apparently DC wants to make damn well sure that I get all and every book they have out there, if I care about it or not. This is enough for me. There's so much back-catalogue out there thatI don't need the DCnU. Maybe DC will correct this at some point but until then I'll drop all current books. Speaking of back-catalogue, any news about the Kevin Smith Green Arrow omnibus? Is there a release date yet? The Kevin Smith Green Arrow hardcover was announced to be released in August 2014. I looked at the releases down the road on Amazon and it looks like Batgirl is doing the same swap to paperback first, like Batwoman. Volume 4 will be released first on paperback on May 27th, the same day volume 3 gets it's release on paperback. I've always thought that both of these titles fit more into the paperback first category, but I do think it's weird/wrong to make the final Williams/Blackman Batwoman book in paperback only. Because even her first solo stories in Detective were hardcover first. Volume 3 is the final collection with Williams' art in it, so it makes kinda sense. GLC is another one that switches to TP with volume 4, by the way. I recently bought all 4 trades of this story, but haven't gotten around to reading them yet. And I wanted to see if what is new would be worth buying. Looks like this time the total number of books is 2 compared to the old 4. One titled Murderer and the other Fugitive. I got the old info from Wikipedia and the info for the new editions from Amazon. The only new issues are Batman #602, 604 & Batman: Gotham Knights #29-30. And the only one of those that even include the event's name on the cover is Gotham Knights #30, but that's even part of a crossover with Azreal. So I don't actually know how essential these 4 new issues are. I'm probably going to pass on the new editions, unless I can sell my old ones for about the $30 to pay for the new ones from In Stock Trades for half off. You are right, but it's a little bit mor complicated than that. The old collections did not include all issues completely, but only the parts relevant to the crossover. I kinda liked the effort, but it didn't always work, especially with Dixons stuff. Batman: The 10¢ Adventure (complete), Detective Comics #766 (pages 1 - 21, missing page 22), Batgirl #24 (complete), Nightwing #65 (pages 1 - 8, 12 - 14, 18 - 21), Robin #98 (pages 1 - 6), Gotham Knights #25 (pages 1 - 22), Robin #98 (pages 11 - 13, 15, 17), Birds of Prey #39 (pages 8, 9, 11 - 16, 18 - 22), Birds of Prey #40 (pages 1 - 4), ... aaaaand so on and so on. The new collections include only complete issues, so there is a lot (!) more content than in the old paperbacks. Plus, for another example, Batman #601 was included in the old trade. It was part 1 of a 2 part story (Turning the town red parts 1 & 2). But Batman #602, which was part 2, did not feature the event name on the cover, so it was omitted in the first collections. So the new collections are a huge improvement over the old ones, imho at least. Thanks for this info, I had no idea about the partial issues. I might try to sell mine soon and hopefully get at least $25. The revived "Astro City" is also getting its first trade release in February. It's a fantastic book (and is actually the only DC book I'm reading right now). *X-Men Adamantium Collection--I guess the Wolverine version did well enough to warrant one for the franchise at large. It collects a lot of great material (although the space given over to "All-New X-Men" really should've been given to the Dark Phoenix Saga). *Amazing Spider-Man: Family Business HC--James Robinson rebounded from leaving DC very quickly, getting both the "Fantastic Four" title and this OGN which purports to introduce Peter Parker's sister. Considering how wacky the franchise has gotten, this could actually improve things, and Robinson, Mark Waid and Gabrielle Dell'Otto make one hell of a creative team. *Annihilation Omnibus HC--"Civil War" may have been the bigger crossover, but "Annihilation" was the better one, and its effects can be felt in "Infinity" amongst other books. I have the trades and will review them at some point, but this is one of the best Marvel events ever. *The Death of Captain America Prose Novel--I was ready to skip past this since I've never really been interested in prose novel versions of comics. Then I saw that Larry Hama was writing it. If there's one person who can balance military action and superhero wackiness, it's the creator of "GI Joe". *A bunch of major Marvel NOW! titles are getting their paperback releases, including "Uncanny Avengers", "New Avengers" and "Uncanny X-Men", which means I can finally review them. *Mighty Avengers Vol. 1 TP--I was surprised how much I enjoyed the first few issues of this title. Greg Land is actually improving a bit, but Al Ewing is able to move the story past the oddities of the artwork and establish why this title should exist amongst the Avengers stable. *Iron Man Epic Collection: War Games TP--I wonder why they didn't just call this "Iron Man by John Byrne", since it's a collection of his 80s run. A couple of highly influential stories can be found here, including the revival of Fin Fang Foom. I really don't get the thinking behind these Adamantium Collections. They're even more overpriced, uncomfortable to read and difficult to store than DC's Absolutes, and their contents are very disjointed. *Buzzkill TP--The drunker this hero gets, the stronger he gets, and now he wants to go sober. This sounds like an intriguing concept. *Itty Bitty Hellboy TP--Applying the "Tiny Titans" aesthetic to Hellboy was an odd concept at first, until I realized that one of the best HB stories concerns him at five years old falling in love with pancakes. Baltazar and Franco are amongst the best. Now where's an "Itty Bitty Aliens vs. Predator" title? *Speaking of which, the solicits for new new "Aliens" quartet aren't out yet. I really want to see who the artists are, especially on "Aliens" and "AVP". *Nothing's really catching my attention, but I can't believe how far behind I am on "Invincible". *Jack Kirby's New Gods Artist's Edition HC--I'm not a fan of the New Gods, but I love these Artists' Editions. If you want this one, you should probably pre-order it as soon as possible. They tend to fly off the shelves quickly. *Mr. Peabody and Sherman TP--The trailer for the upcoming movie actually looks good, and Sholly Fisch is the kind of writer who can pull off the silly time-travel humor that this kind of book needs. I'll get Bruce Wayne: Murderer and Fugitive for sure. The rest is Meh! What I'm really excited about is the ANNIHALATION OMNIBUS Marvel is publishing next year. That will be my baby!! Well, so much for Green Lantern readers not having to buy the fourth volumes of all Lantern series to get the whole Lights Out experience. I guess that HC collecting the whole crossover won't be unnecessary after all. And while Robinson's Earth 2 run ended on something of a cliffhanger, I think his last issue would work nicely as a grim conclusion to the third volume. Since 4 issues and a annual would be enough to fill a collection, I'd shift Taylor's first 3 issues to vol. 4. I also don't get why Levitz's Desaad one-shot won't be included in the next Worlds' Finest volume instead. i'm picking up most of the trades solicited here, except for the Harley stuff. i'm most excited to see the Showcase Presents Jonah Hex Vol 2. been waiting a long time for that one. I'm going to get Justice League, Vol. 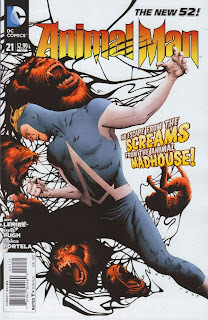 4, Animal Man, Vol. 4, Green Lantern, Vol. 4, Green Arrow, Vol. 4, and probably DC presents: Harley Quinn. I'm actually very interested in the DC Comics Presents Harley Quinn. The original prestige Harley sells for crazy amounts of money, so it'll be nice to get an affordable version of this. I'm honestly peeved it wasn't included in the recent No Man's Land re-releases since it not only ties into No Man's Land but also serves as Harley's intro into DC continuity proper. Aside from that, I'll definitely be getting the last Brubaker Catwoman. Not sure which new 52 collections I'll be getting though. Still trying to catch up on several of these. I've been hearing good things about Lemire's run on GA, and even though I'm not a massive fan of the character, I do love Arrow. So, I may pick up Vol 4. Also, Earth 3 has been a hoot but I may wait for the TP. Normally, I collect GL always but this time I may pass. Vendetti's not doing it for me and The Lights Out collection is coming out so I won't be out of the loop. But Red Lanterns Vol 4 is a must (as Soule and Guy make an awesome combo). I've picked up Shazam and will pick up Trinity War when it arrives,so won't be getting JL Vol 4. Finally, can't wait for the Murderer and Fugitive New Eds! I'm collecting as much of pre Nu52 DC/post COIE DC as I can...so Harley Quinn and Bruce Wayne Murderer from amongst your picks.